Data aggregation services compose, transform, and analyze data from a variety of sources such as simulators, real-time sensor feeds, etc. 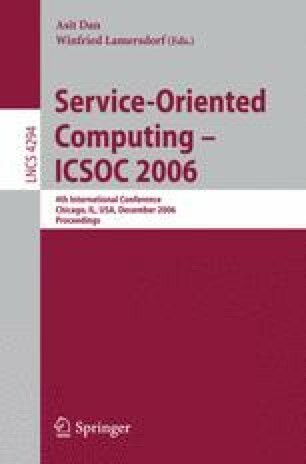 This paper proposes a methodology for accelerating the development and deployment of data aggregation modules in a service-oriented architecture. Our framework allows existing semantic web-service techniques to be embedded into a programming language thereby leveraging ease of use and flexibility enabled by the former with the expressiveness and tool support of the latter. In our framework data aggregations are written as regular Java programs where the data inputs to the aggregations are specified as predicates over a rich ontology. Our middleware matches these data specifications to the appropriate web-service, automatically invokes it, and performs the required data serialization-deserialization. Finally the data aggregation program is deployed as yet another web-service. Thus, our programming framework hides the complexity of web-service development from the end-user. We discuss the design and implementation of the framework based on open standards, and using state-of-art tools.